Cinco de Mayo Celebration, Saturday May 6th. First corn pizza of the year! 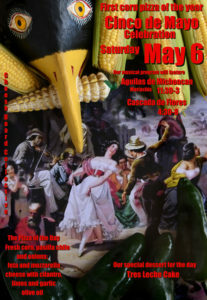 Join us Saturday, May 6th for our annual fiesta! We will have a special menu featuring our first corn pizza for 2017: California corn, onion, pasilla pepper, mozzarella and Valbreso feta cheese, garlic olive oil, cilantro, lime. Also on the menu is our famous Tres Leche cake and a cabbage, carrot, jicama, toasted pepitas coleslaw with a mango-chile dressing. Lunch will feature a nine piece Mariachi band and dinner will be Cascada de Flor! See you soon! Since 2008, the City of San Francisco and other generous supporters have funded Dolores Street’s attorneys to provide pro bono legal defense for individuals facing deportation from the United States. We use legal and creative advocacy strategies to directly challenge prolonged detention, constitutional violations, and other injustices in the immigration legal system. We also collaborate with base building and civil rights organizations, and play a leading role in advocacy efforts on the local and state level. Sorry we are sold out. 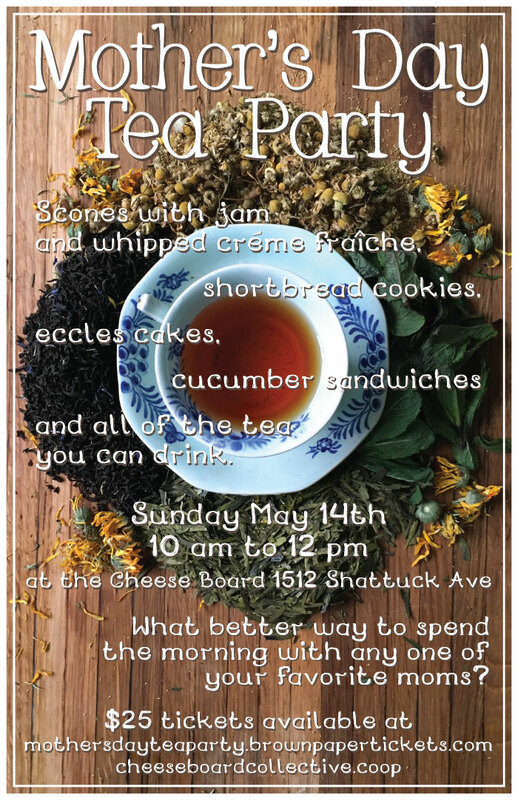 Tickets can be purchased at Buy tickets for Mother’s Day Tea Party here.